A custom sewn sling at a price that won't break the bank? You can get it here. And while you might expect a custom-sewn sling to take days to ship, my usual sewing time is 1-2 business days, often with same-day shipping on slings ordered early in the day. 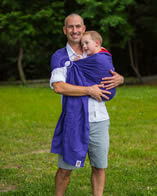 Choose your fabric type, fabric color, ring color, and size, and relax knowing that your sling will be made by just one pair of hands -- mine -- with over 18 years of sling sewing experience and thousands of positive reviews over the years. Use the sort bar below to refine your search, or the menu above to select from available categories. 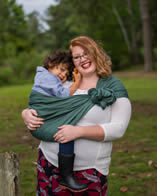 Made with baby-safe nylon SlingRings (no phthalates or BPA, and stronger than wood) and Oeko-Tex baby wrap fabrics, for a safe and colorful teether you and your baby will both love. Diastasi "Time and Space": Inspired by the longest-running sci-fi TV show ever, my personal favorite fandom. Kouneli, pewter weave: an exclusive through Fandom Mystery Box, back for more fun! It goes with everything, and never steals the show. If you're often chilly at the beach or splash pad, this will help! A pinkalicious, fun pop of pink! This vibrant fuchsia lies in the comfortable space between pink and violet. Wear it with confidence! A bright and shimmering green, the color of grass in your childhood drawings. Deep, dark blue, with glossy highlights created by the fabric. If you want to be immediately visible at the pool or beach, this is your sling! 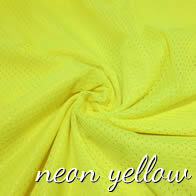 Dazzling bright, truly neon yellow practically vibrates with energy. Soft, stormy-sky gray, with the luster of well-worn pewter. This is a lovely, vivid royal blue, like a sapphire when it catches the light. 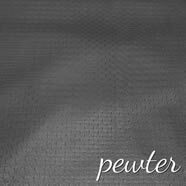 Silvery gray, this fluid, lightweight mesh is a perfect neutral, cool and comfortable on the hottest days. 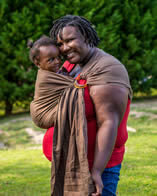 It's always a bright, sunny day in this sling... even if you're using it to shower with your baby in the middle of the winter. Brilliant blue turquoise, complements the color of the pool (or the clear ocean water, if you're so lucky!) without blending in. I love this color <3 A pretty, floral purple, like lavender, clematis, and wild indigo. From a new with tags, unwashed Tekhni Repreve blend wrap ONLY; or brand new, unwashed Girasol broken twill weave wraps. Those are the only manufacturer/blends that my sewing has been tested with, and are the only ones I can convert for now. This colorway combines two things most caregivers never have enough of: time, and coffee! Understated but still energetic, echoing the softness of the flower from which it takes its name. A brilliant sky reflected on warm ocean waters, bright and inviting. Satisfy that craving with a dark but sweet chocolate, closer to 70% cacao than milk. Emerald like the city in Oz, it's easy being this green. Lighter blue with just a hint of violet, a delicate and lovely shade. Like the white pines that surround my sewing room, this is the deep green of a New Hampshire forest in summer. 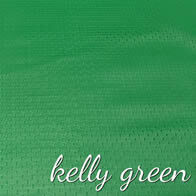 Vibrant and full of life, this color makes a statement without saying a word. Parchment pale, a lovely neutral that looks as at home with jeans as it does with lace. The little black dress of ring slings, midnight linen will always be in vogue. Lighter than ocean turquoise with a hint more blue, perhaps your mermaid tail takes this shade? This deep dark blue is a favorite of mine, pairing well with many colors. A warm, shallow sea invites you in for a swim. A natural in the summertime, but keeps you dreaming in the winter as well. Like linen itself, this vibrant blue is cool and refreshing on a hot summer day. Is there such thing as too much pink? Not if it means being true to yourself! Bright, cheerful, and warm like a Valentine's Day heart. A sophisticated, deep purple, rich and saturated, but still fun to wear. New grass shoots, selected leaf buds, being barefoot for the first time in 5 months (at least here in NH!) -- what could be more lovely? One of my personal favorites, a sky full of clouds. Maybe it'll rain, maybe not. Named for the school's color, a true, twilight sky blue. *Stretch twill slings were sewn before the testing deadline of January 30, 2018; only the length can now be customized. 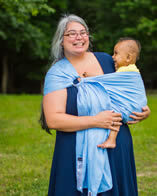 Wrapsody slings were sewn in Indonesia by careful artisans under Wrapsody Baby's direction using my pattern.